Dominic Ubamadu is a results oriented, customer service focused and operations minded healthcare consultant with over 20 years of combined healthcare management experience in the private, public and military sectors. Dominic truly exemplifies the concept of “knowledge is power.” He thrives on staying abreast of industry trends, confident that it leads to empowerment and more informed decision-making. In his continuing quest for challenging leadership positions, he has worked in various urban and suburban healthcare positions, including finance, nursing administration, long-term care and COO of Mayfair Healthcare Services. For more than a decade he led the Desir Group Executive Search business operations, promoting a hands-on personalized search process, while also executing searches as needed. Prior to joining the Desir Group, Dominic served as a senior military officer providing leadership in human resources, medical plans/operations and training, contract administration, marketing and public affairs. One of his most fulfilling assignments was leading the marketing and public affairs function for TRICARE (Region 2), the military’s healthcare plan. Subsequently, he served as an international health specialist for Air Force Reserve Command. Dominic received his bachelor’s degree in public health administration from Western Illinois University and a master’s degree in health services administration from Governor State University. 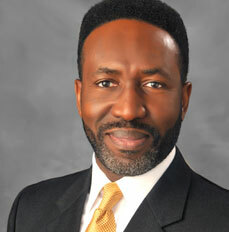 He is an active member of the National Association of Healthcare Executives. Dominic is a fellow of the American College of Healthcare Executives (ACHE) and a credentialed member of the American Academy of Medical Administrators. He obtained a coaching certification for individual and team coaching. When away from the office, Dominic enjoys mentoring up-and-coming healthcare leaders. He has served on several healthcare related boards and committees, to include AAMA Executive Board, Men’s Health & Wellness, ACHE Hudgen’s Award Committee, ACHE RACs, and on Governors State University Health Services Administration Advisory Board. WHAT DO YOU DO WHEN PATIENT OCCUPANCY ISN’T THE ISSUE AT ALL?